Ray Ban has given their iconic wayfarer a rugged makeover for 2015. 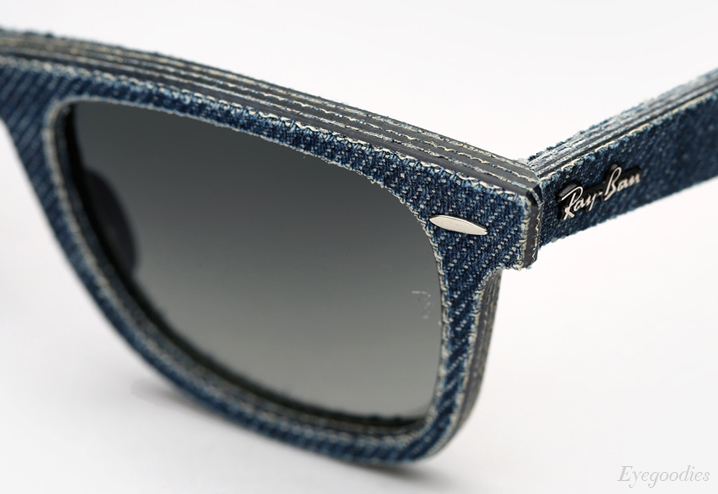 The fittingly named “Denim Wayfarer” is meticulously layered with denim. This design is the result of two years of research, which has resulted in a high-tech layering process that gives each pair a completely unique look that will only get better with age and wear. Each pair is then finished with original rivets. Handmade in Italy, the Denim wayfarer is available in blue denim and black denim, check them out below. 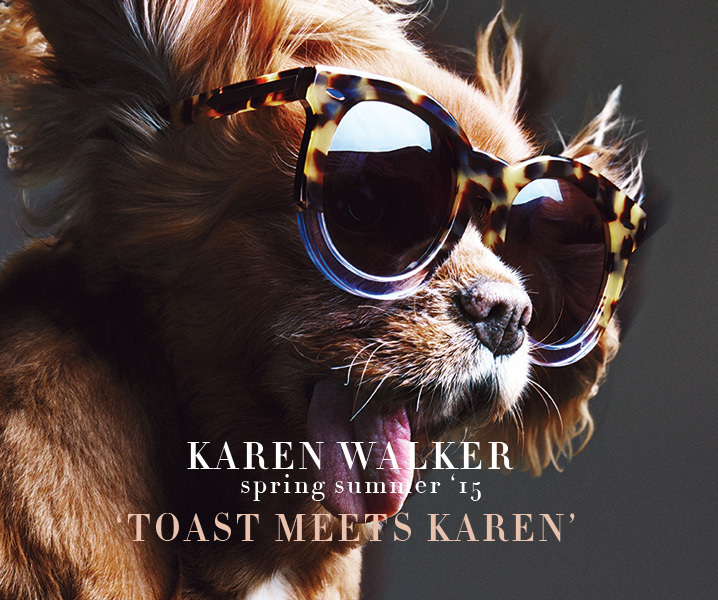 Karen Walker sunglasses Spring/Summer 2015 “Toast Meets Karen” collection is now available. 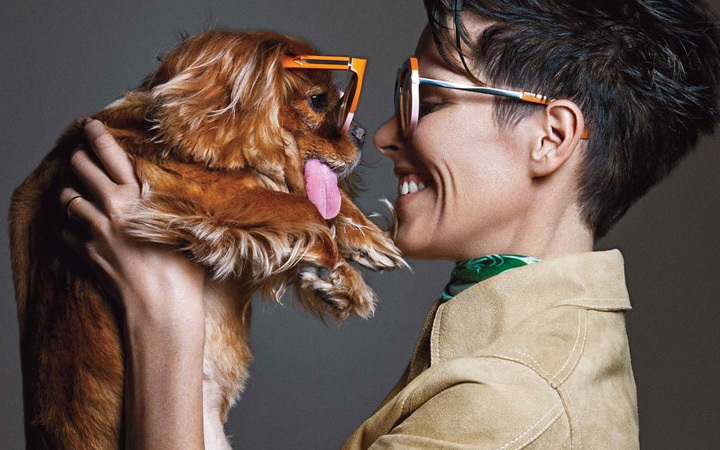 This season Karen Walker is using a celebrity as the face of her brand for the first time. No not Sienna Miller, Scarlett Johansson, Rihanna, or the other countless A-listers who have sported her shades, but a celeb of a four-legged kind. Meet “Toast” the dog, the King Charles Cavalier Spaniel who rocketed to fame after being saved from a puppy mill. She was discovered living in cruel circumstances, rescued, and quickly became beloved, amassing more than 170,000 Instagram followers that hang on her every jaw-dropping outfit. Her tongue, which dangles because of her former mistreatment now only makes one love her all the more. Fans of the brand will notice both the familiar, and of course in true Karen Walker fashion something completely new. Favorite styles, such as “Super Duper Strength” and “Number One” transform this season, with the addition of luxe gold metal, becoming the “Super Duper Thistle” and “One Meadow” respectively. The rich golden decor is a prominent theme throughout the range. From dramatic cat-eye’s, such as the new “Starburst”, to one of a kind round designs (“Maze”), and something in between (“Flowerpatch”), there is no shortage of showstoppers. The color palette includes Karen Walker’s signature “Crazy Tortoise”, classic black, as well as new hues: Navy, Dusty Pink, khaki, and Tan. All perfectly paired with shiny gold, and complimentary colored lenses.